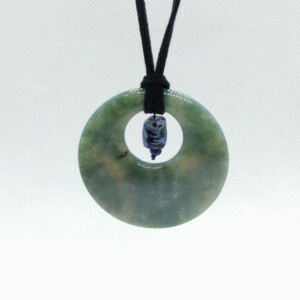 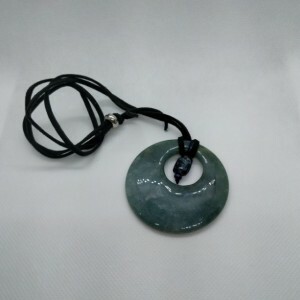 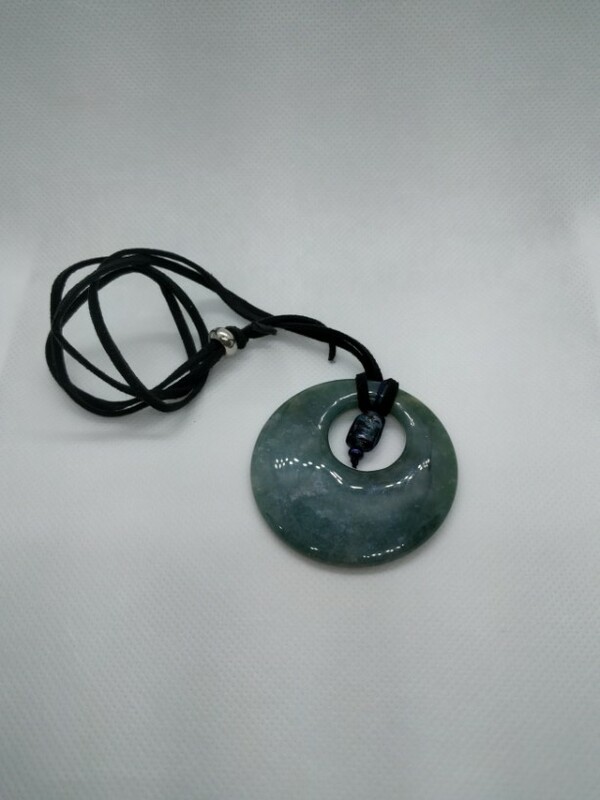 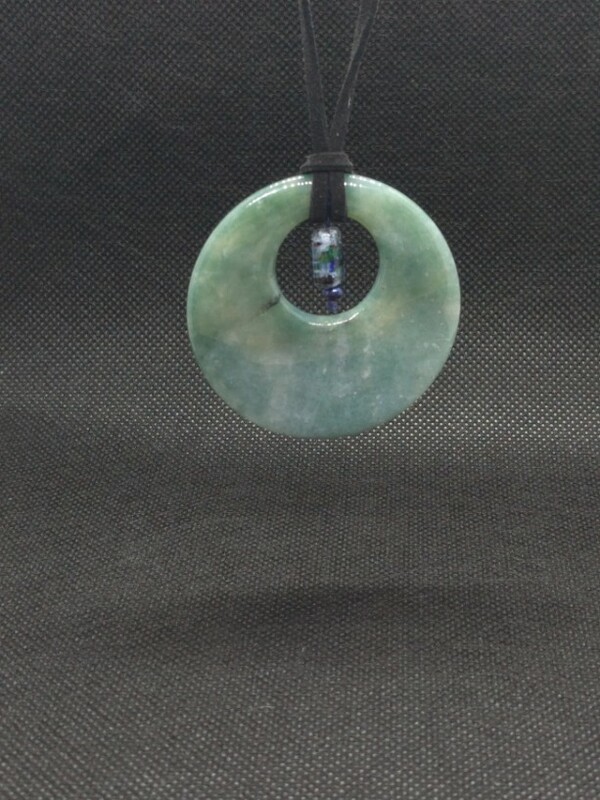 A round Asian-inspired jade-style pendant with circle cut-out and drop iridescent blue-green glass bead tied with a leather cord. 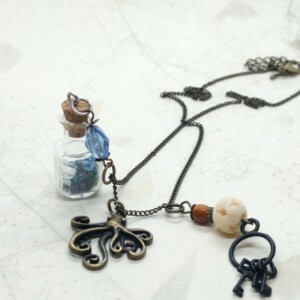 The pendant is approx. 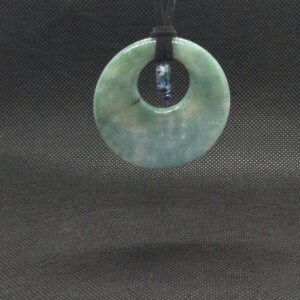 2.5in x 2.5in and the necklace hangs about 13in long. 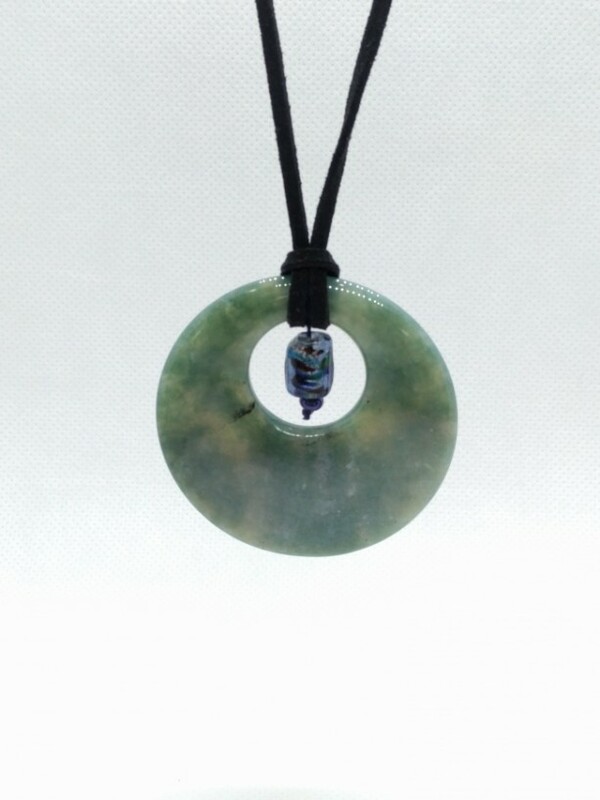 This has a classic and clean look that works both as a casual and dress accessory!